The Yellow Loop is a dual bike/hike trail that meanders through young forests and passes by an old sugarhouse foundation and chimney. Enjoy gentle climbs and beautiful creek views. 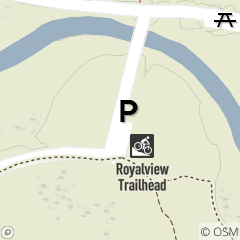 Check for trail conditions before riding or hiking as trails close if conditions are unsuitable.